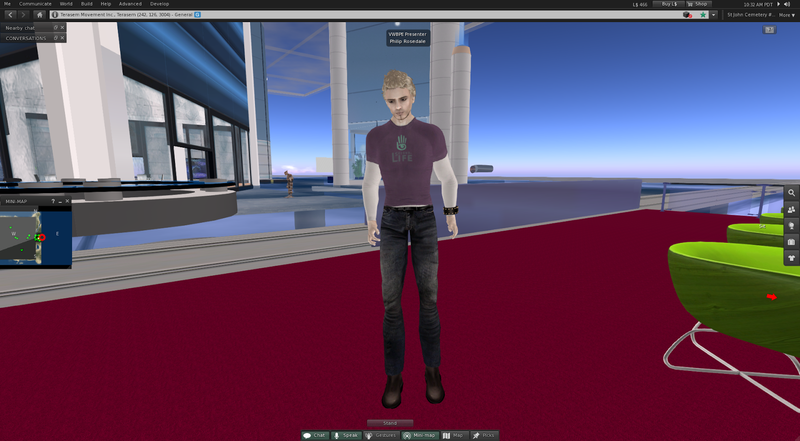 There was a report of Linden Sighting In-world...Lindens helping new people! I just had to check it out. I try to get pictures of Lindens whenever I hear of them doing things in-world...yes I'm one of THOSE people, a groupie. I was told that they were sent out there as "First step" to see what they could do to make things better. Yeah, Really! Steeltoe there had a sort of Tron thing going on and Kiera was a sort of Lady Snowblood. I was a naughty Caledonian and dropped some Caledon-centric newbie information on one new person, alongside LM's to NCI and the Shelter. I've added a new page to the header, The CC List. I want the CC List to be sort of "capsule wardrobe" oriented. A list of simple, pretty, versatile and affordable items that will serve you well as go-to items in your inventory that will give you a good bang for the buck. That doesn't mean it would be entirely modern items, since there's fantasy/steampunk/retro flavored items that have the same sort of "capsule" vibe to them as well. This is an experiment, so it might not go anywhere, but it might prove useful even if only to me. Event Fail, and a TOS Violation by Philip Rosedale...Really. There was a "Future of the Metaverse" event today and I showed up to add a common sense practical perspective of one who doesn't fall all over for VR hype. Now, I know how these sorts of things work so I showed up 2 hours early to make sure I could get in..and I stayed in. Yes, I took pictures, it's what I do. I got a picture of Philip's non-Linden avatar. Are you picky about who you add to your list or do you usually add most people? With new folks I always accept out of sheer politeness and wanting them to have at least "someone" to IM if they have a problem. I'm often shy about offering it, not because I'm snooty or anything, I just don't want to bother others. There are people I probably should friend, but haven't yet. Do you know every single person on your list? No. How many do you speak to on a daily (weekly) basis? Daily I would say about 2 to 3 and weekly maybe about 6 - 8. Mostly because I don't want to bother others. Now that doesn't count group chats, because there's plenty of people in my friends list whom I see in various group chats very often. How many do you see/get together with in-world on a daily (weekly) basis? Not many. Maybe a half dozen or so weekly. I could be underestimating, I see a LOT of people. Who on your list do you have the closest relationship with? Gabi, every steamlander knows who that is. It's a part of our "Caledon Legendarium" that we're cousins. Who do you wish you knew better? Salome. Who on your list is the funniest/most entertaining? Easily, Salome. Who is made of pure awesome. We have similar interests. How did you meet most of the people on your list? (work, parties, etc…) I haven’t actually “met” MOST of the people on my list. Group Chats, other fashionistas, random encounters shopping, socialization. Do you ever clean out your list? No. Do you have a crush on someone in your list? Yes. There are a few, and one very special one. Is there anyone on your list that you would trust with your password? Yes, if need be, there are a couple. Do you have any FIC in the friends list? Yes. Are there any friends that have left SL that you wish would return? Yes. Sabrina Doolittle is one of them, of course. As is Kit Meredith. And Swirly Cyclone. The CC misses the Swirly and her humor very very much. There are some others that haven't exactly left SL but don't log in often. Has anyone in your friends list passed away in RL: Yes. Okay CC, how many in your friends list are designers? Actually not many designers are in the friends list. I've met many as acquaintances, but friended/been friended by relatively few. Who were you tickled pink to have accepted your friendship? 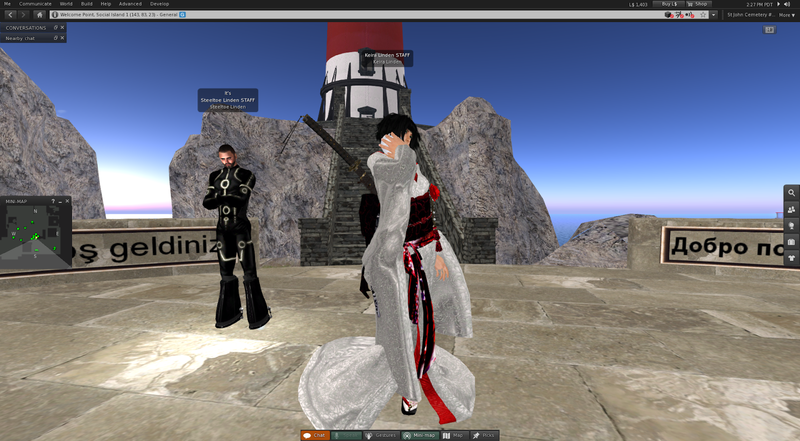 Several people, including most of the fashionistas and Caledon notables in my list. As for what I'm wearing, basically only the hair is new and it's the Truth Lunara.